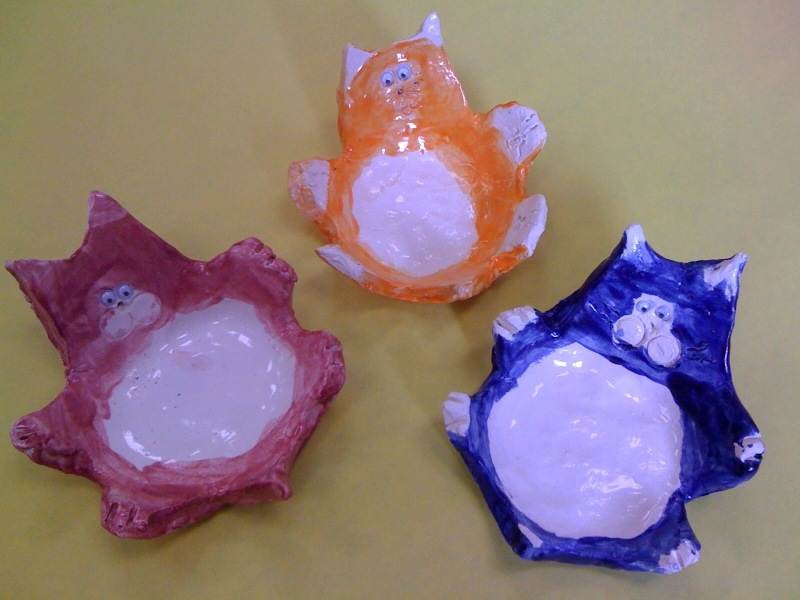 I LOVE how these little Splat the Cat inspired bowls turned out!!! 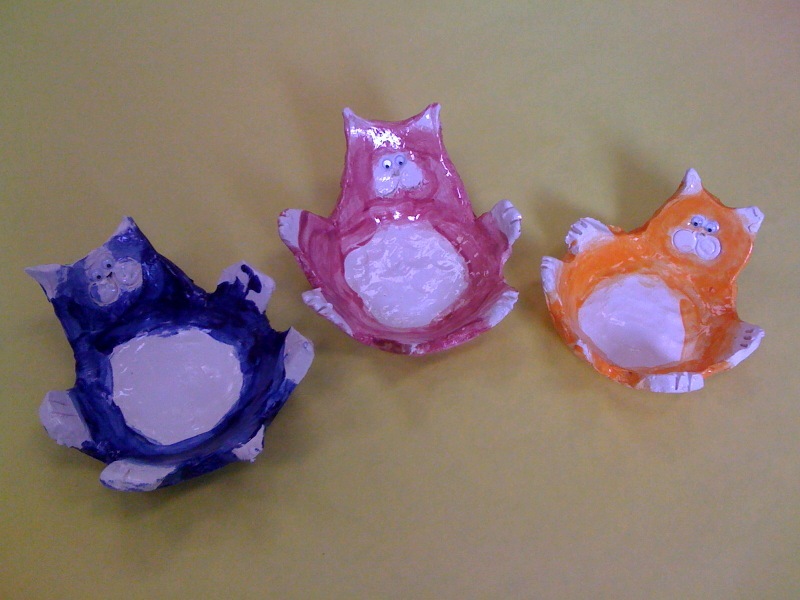 I got the idea for this clay project from a little cat bowl I saw on Etsy.com and decided to try it out with my Grade Ones. First we rolled out our clay into a slab. I gave them a cat shaped tracer that they had to draw into their slab with a wooden kebab skewer. Then using a plastic knife they cut away the extra clay. 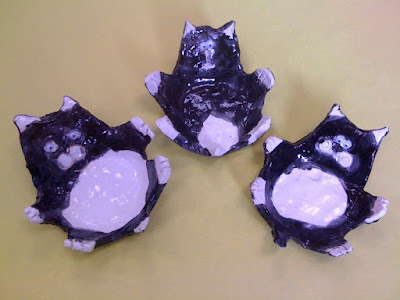 Using their fingers they carefully smoothed out the outer edges of their cats. They also used the skewers to try to make impressions in the paws as you can see in the blue cat below. Some kids just drew lines on their paws. Then using their skewers and various tools around the classroom they created the faces for their cats. Impressions for the eyes were made using the flat end of a pencil crayon. 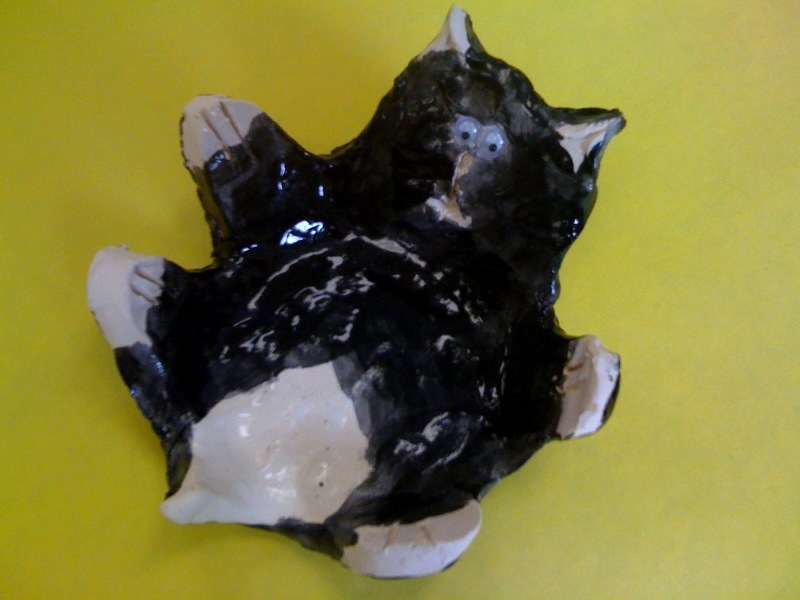 When all their details were done they gently lay their cat slabs into a styrofoam bowl, carefully molding the cat into the shape of the bowl. When they were completely dry we fired them in the kiln. 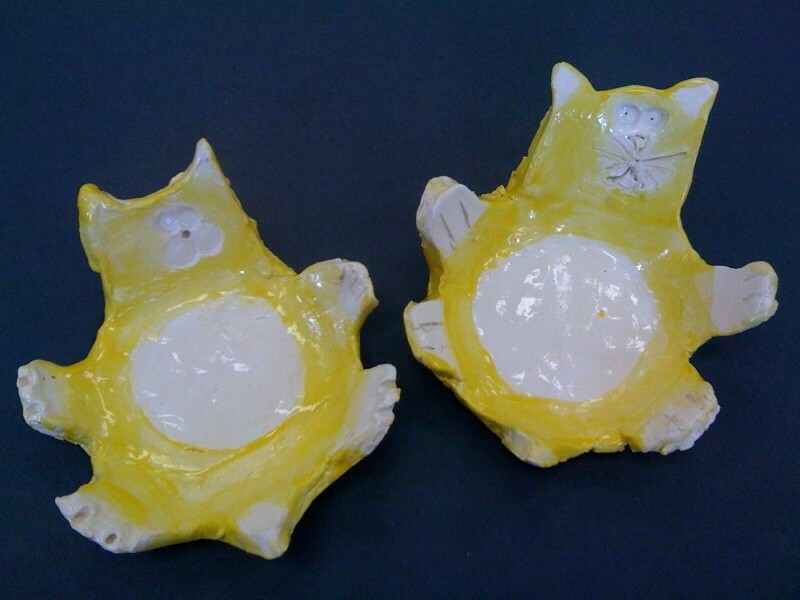 We glazed them and refired them then added small googly eyes as the final touch. These are Fantastic! I don't have a kiln and airdry clay is a bit fragile. But I'd love to try this. Thanks! 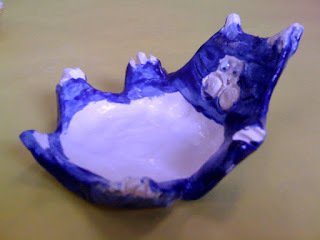 Yes, I've had my share of disappointements with air-dry clay. It can be a bit tricky for little ones trying to create the optimum thickness.